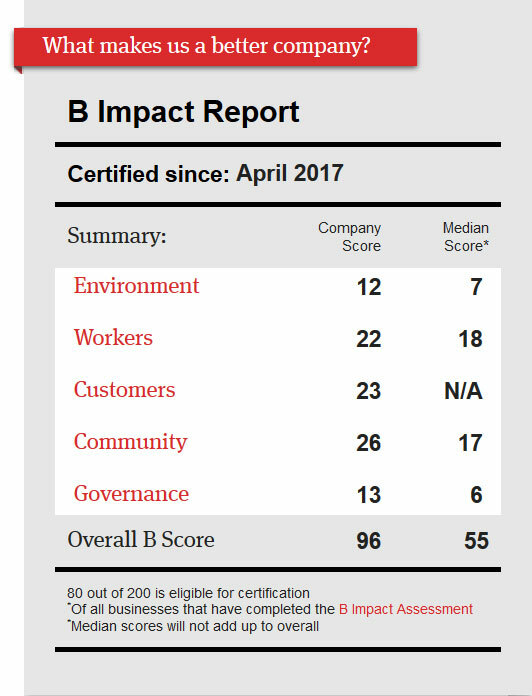 Tangiers International became a Certified B Corporation in 2017. B Corps (the ‘B’ stands for ‘Benefit’) use the power of business to solve social and environmental problems. B Corp certification is to business what Fair Trade certification is to coffee or certified organic labelling is to milk. Today, there are over 2,100 Certified B Corps around the globe, including Patagonia, Ben & Jerry’s, and Etsy. We are proud to join them in redefining success in business as a force for good. WHY DID WE DECIDE TO BECOME A B CORP? We’ve been getting involved in local communities and making a difference since our first beginnings. Earlier in 2016, we were on the lookout for like-minded organizations who publically commit to using resources and know-how for social good. 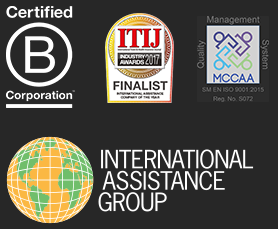 B Corps provides a framework for our continuing commitment to social responsibility. Social responsibility is at the heart of our corporate structure. Throughout 54 countries in which Tangiers International has resources on the ground, nearly 100% of our teams are local nationals. Not only do local workers and resources help us offer more-informed and better services, but the region also benefits from our financial investment. For our clients, workers, and communities, we strive to fulfil our mission: Making Lives Better.